House Intelligence Chairman Devin Nunes (R-CA) stepped in it when he unveiled that members of the Trump transition team were caught through incidental collection by our intelligence services. He then briefed the White House about the development, which raised some eyebrows. As was his midnight viewing of these document on White House grounds. There are conflicting reports, but it appears the two White House staffers identified in The New York Times only helped Nunes in a navigator capacity, as the intelligence community is reportedly stonewalling him on document requests. They’re not his direct sources. Then, Fox News’ Adam Housley reported that someone high up the food chain in the intelligence community ordered the unmasking of Trump officials. This person was well known and not a member of the FBI. That person was Susan Rice, Obama’s former national security adviser. Yet, the damage was done. The initial reports were that Nunes gave new information, which wouldn’t have been considered a bombshell by the White House since they helped him get those documents. It looked misleading. Of course, in the end, the story changed—but the focus was now on Nunes and his endless fumbles regarding rolling out new development in the House’s investigation into possible links between the Trump campaign and Russia. Bloomberg’s Eli Lake, who had defended Nunes and given him the benefit of the doubt, broke ranks, saying that his actions have damaged the House probe. Equally, Representative Adam Schiff should consider recusing himself from the probe. 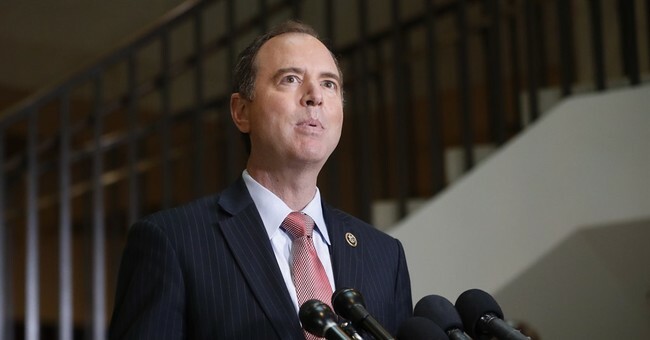 For his part, Schiff suggested to the media that he had seen information on Russia-Trump campaign ties that was "the kind of evidence" that would be presented to a grand jury, adding that he had seen additional evidence, but not elaborating further. Both Nunes and Schiff are equally to blame for the Committee's loss of focus. How can a committee, which handles sensitive classified information, conduct its business when the purportedly secret information is discussed -- even by insinuation -- publicly in front of the media? Whether Schiff chooses to do so or not, the committee should seize upon this development as an opportunity to refocus the Committee, get it back on track and carry out this important probe. Over the last few weeks, the Committee's primary mission has fundamentally been eclipsed. The ongoing drama of who knew what and when, who saw what, who said what and the bitter recriminations resulting from those questions overshadowed any real activity the committee should be undertaking.